The alternative energy sector is continuing to perform well. I found a couple small companies with good charts that I like. Primarily I like the charts. 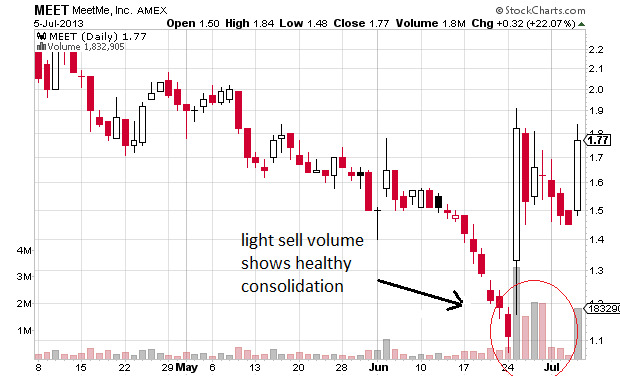 Jinko Solar (JKS) is one of the solars I posted on Twitter awhile back and it ran 17% today on good volume. The first new one is Ballard Power Systems (BLDP) with a market cap of around 200 million. BLDP sells fuel cells which is a very promising alternative energy. The stock price just broke out of a triangle consolidation. The second one I like is Suntech Power (STP). 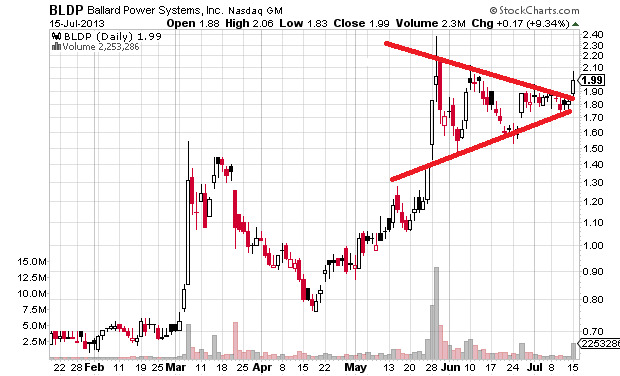 STP is a 250 million dollar company that also just broke out of a long triangle. Both of these stocks look ready to keep running. I've had MeetMe Inc. ticker MEET on my watchlist since it made that big run about a week ago. It's started a flag on Fridays run with light sell volume on the flag and looks poised to continue to run again. 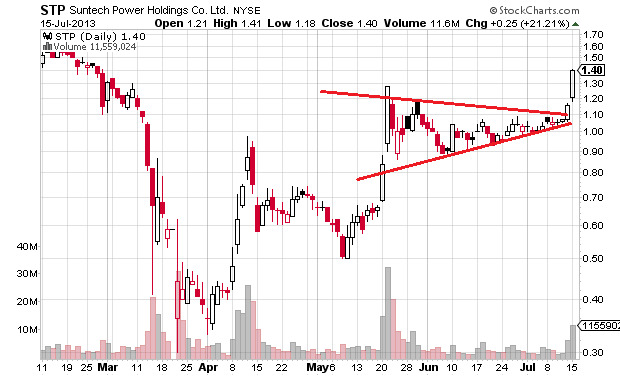 I am going to put a buy stop order in at 1.87 a share. I also added LEE XXII JKS to the watchlist. 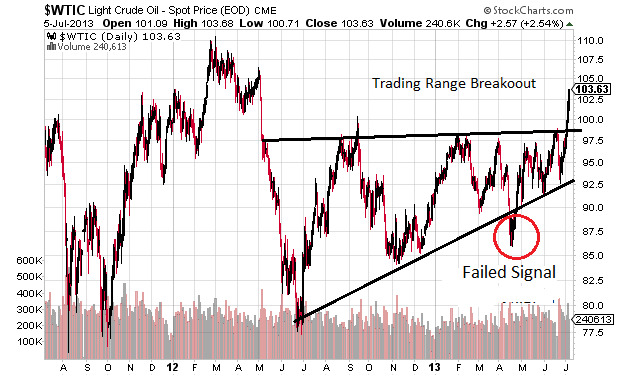 This is a followup to the post I did on crude oil in June. The triangular consolidation on crude had been forming for a long time. Crude finally broke out of the ascending triangle. This is a very bullish chart still and I wouldn't be surprised to see a 110 retest. Triangles are very powerful chart signals. I drew up a new chart and I posted it below. The trend line breakdown I circled was very telling of what direction it was heading. That was definitely a failed signal. I sold my KWT solar etf position for a slight loss at $46. I didn't get an ideal entry and didn't like the price action so a stop loss is a stop loss. I'm thinking of uploading some video posts in the near future here. I'm looking for a good desktop video software so I can show what I'm talking about simultaneously.